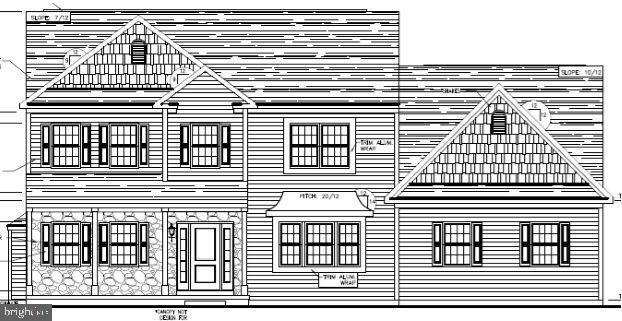 TO BE BUILT JOLIE MODEL BY LANCASTER HOME BUILDERS. 9' CEILINGS AND HARDWOOD FLOORING THROUGHOUT THE FIRST FLOOR. FAMILY ROOM WITH FIREPLACE AND COFFERED CEILING. KITCHEN WITH 6' ISLAND, GRANITE COUNTER-TOPS AND TILE BACK-SPLASH, AND SS APPLIANCES. MASTER SUITE WITH GRAND SITTING AREA, SPACIOUS WALK-IN CLOSET AND PRIVATE BATH FEATURING A TILE SHOWER AND A LARGE SOAKER TUB. 3 ADDITIONAL BEDROOMS WITH HARDWOOD FLOORS. 12X14 PATIO. SIDE-LOAD 3-CAR GARAGE.